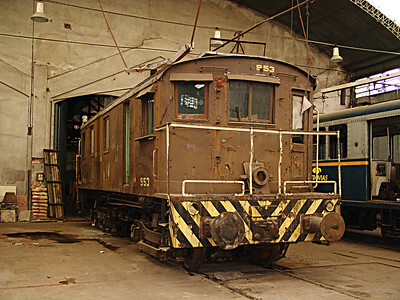 Ferroclub Argentino in Buenos Aires had a wide variety of vintage locomotives and rolling stock. Steam switch engine. Ferroclub Argentino in Buenos Aires had a wide variety of vintage locomotives and rolling stock. Broadgauge steam locomotive. 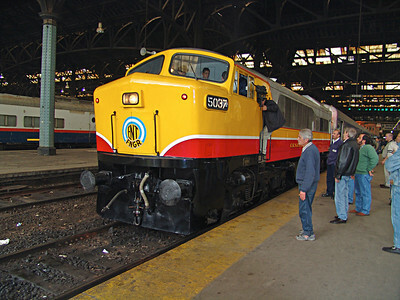 Ferroclub Argentino in Buenos Aires had a wide variety of vintage locomotives and rolling stock. I think this is a Dynamometer for track maintenance. 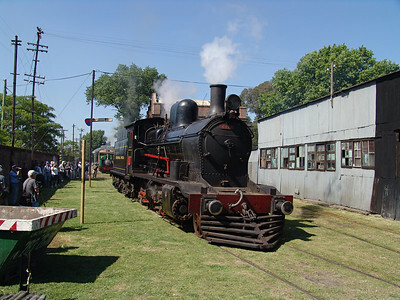 Ferroclub Argentino in Buenos Aires had a wide variety of vintage locomotives and rolling stock. 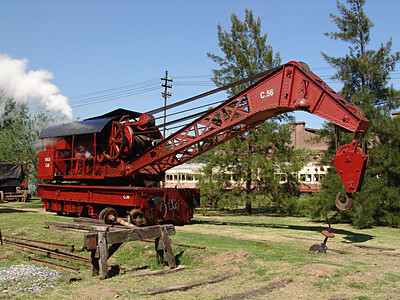 Heavy steam crane. 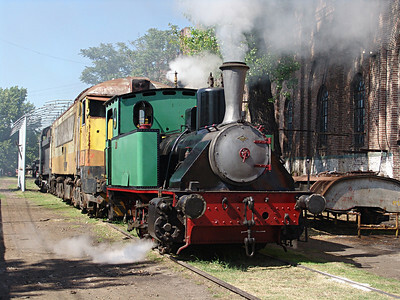 Ferroclub Argentino in Buenos Aires had a wide variety of vintage locomotives and rolling stock. 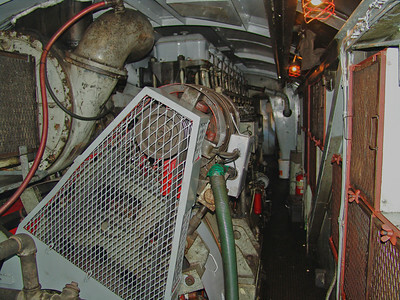 Inside the shroud of an old diesel locomotive. 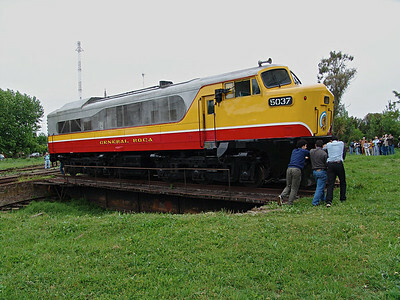 Ferroclub Argentino in Buenos Aires had a wide variety of vintage locomotives and rolling stock. 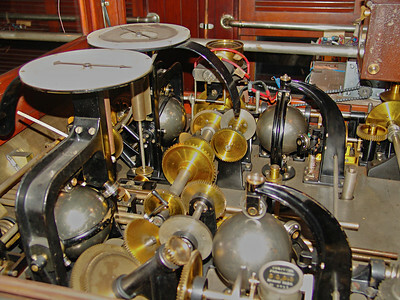 An electiclocomotive. 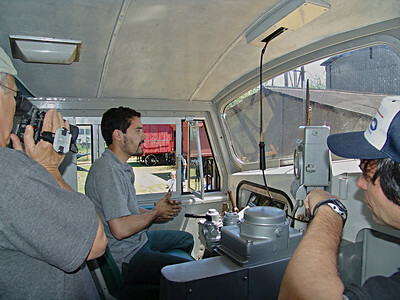 Engineer operates the Baldwin Shark Nose Diesel at the Ferroclub Argentino. 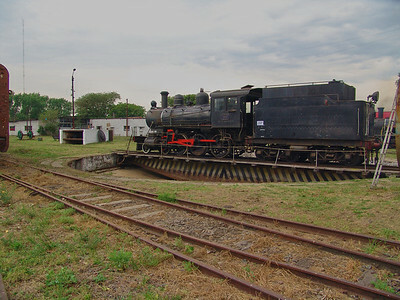 Ferroclub Argentino in Buenos Aires had a wide variety of vintage locomotives and rolling stock. 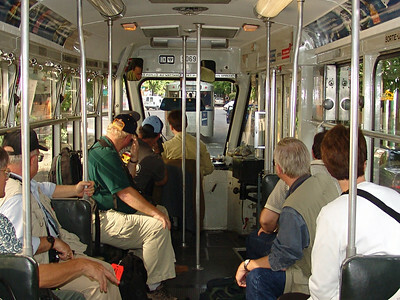 Refurbishing a passenger car. Preparing our day trip with Baldwin Shark Nose Diesel in Constitucion Station. 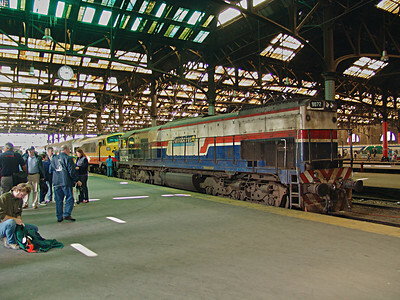 Baldwin Shark nose streamlined diesel in Constitucion Station.Originally built for the C&O in 1947. This locomotive toured the Chessie System but never saw service in the USA. It was sold to Argentina, modified for wide gauge and was the premier train between Buenos Aires and Mar del Plata, ocean side resort. 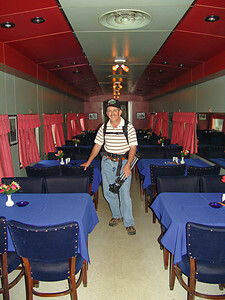 Williamghoat checking out the dining car. 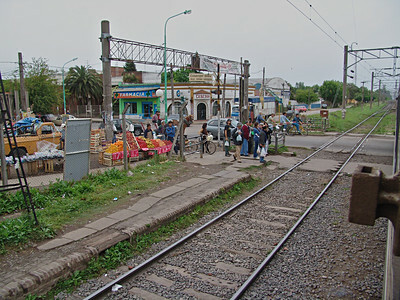 Track scene south of Buenos Aires. 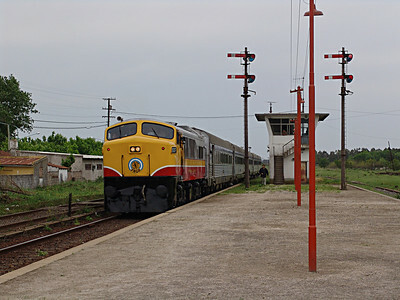 Broad gauge passenger train arrives in Chascomus, 80 miles from Buenos Aires featuring Balwin Shark Nose Diesel locomotive. As large as it is, it took 6 guys only a minute to turn the General Roca around for the return trip from Chascomus to Buenos Aires. 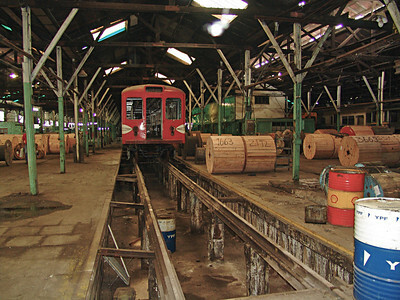 Street car coming our of the car barn at Compania Lacroze, Buenos Aires. 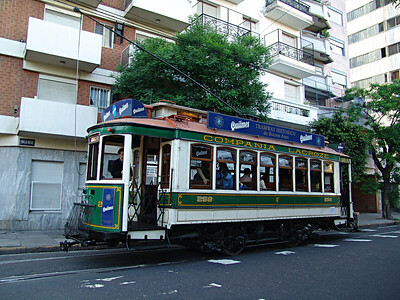 Riding the rails in Buenos Aires. 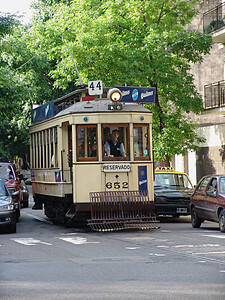 Street car in action, Buenos Aires. 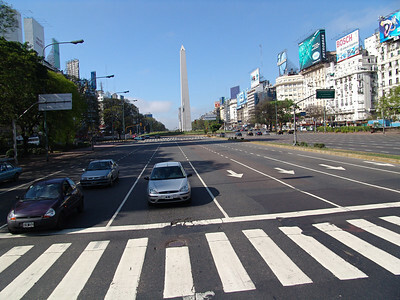 Main drag in Buenos Aires, Argentina. 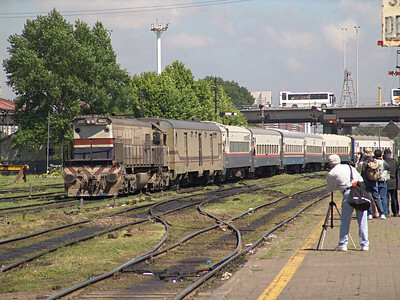 More train service in Buenos Aires. 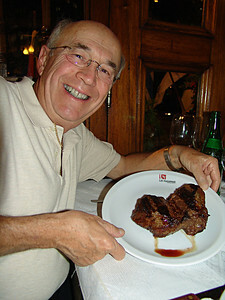 Steak is what's for dinner most of the time. Harvey is ready for this one.